I got to see Finding Dory a few weeks ago and let me say, Pixar is certainly on their way back to the top. Never have I thought a sequel pertaining to a supporting character would be something as great as the original and not at all series destroying as Cars 2. Lets "dive" into the review, shall we? Character: We have some new delightful characters for film, and some returning ones as well. But you're here for the new, so lets get to it. first we have Hank the Octopus (Ed O'Neil,l Jay Pritchett on Modern Family) who is a bit short tempered and tries to get Dory's tag to help him get to the aquarium in Cleveland on account of he prefers it over the ocean. Destiny (Kaitlin Olson, Deandra Reynolds on It's always Sunny in Philadelphia) is a whale shark who is near sided and was pipe friends with Dory when they were young. Baily (Ty Burrell, Phil Dunphy in Modern Family and Peabody in the DreamWorks Mr. Peabody and Shermin) is a Beluga Whale who lost his echolocation abilities due to a concussion he had. What's great about the characters is how each of them was able to overcome their handicaps in order to help save Dory in the final act. Speaking of Dory, she's the star of this movie, and I don't mean that just cause of her name in the film. I mean, this film really helped me love Dory. I mean I loved her before in the first film, but this film actually help shed some light on her past and help explain how much of a sad character she could be. You could really feel for her during her moments of breakdown and struggle and cheer for her when she remembered things she had forgotten. This movie is how you do a sequel for a supporting character, not Cars 2. Animation: Just like the previous film, this is some of the best animation from the good old company of Pixar. Everything from the fish designs, the water effects and lighting, and the plant life is very luscious and really makes you feel like your swimming along with the characters, especially when you are watching it in Imax. What's also interesting about this film is the amount of out-of-water locations this film boasted. Sure, you had the dentist office from the first film, but that's one location, and back in 2003,CGI was just a new thing thatstill getting improved every year, so this filmcould house o bunch of locations like in the aquarium interior and exterior, in some of the delivery truck rooms, and even other fish exhibits, and all of them have such great detail put into the textures and background set pieces. We certainly have come a long way since 2003. Music: Once again, Thomas Newman (Finding Nemo, Walle, Skyfall) brings us back into the deep with some of his extraordinary tracks that, surprisingly, are all new and none I could find recycled from the previous film. and the best part is that they all fit in the scenes that they play in.Nothing feels out of place, which goes to show you how incredibly flexible Thomas can be with his musical scores. 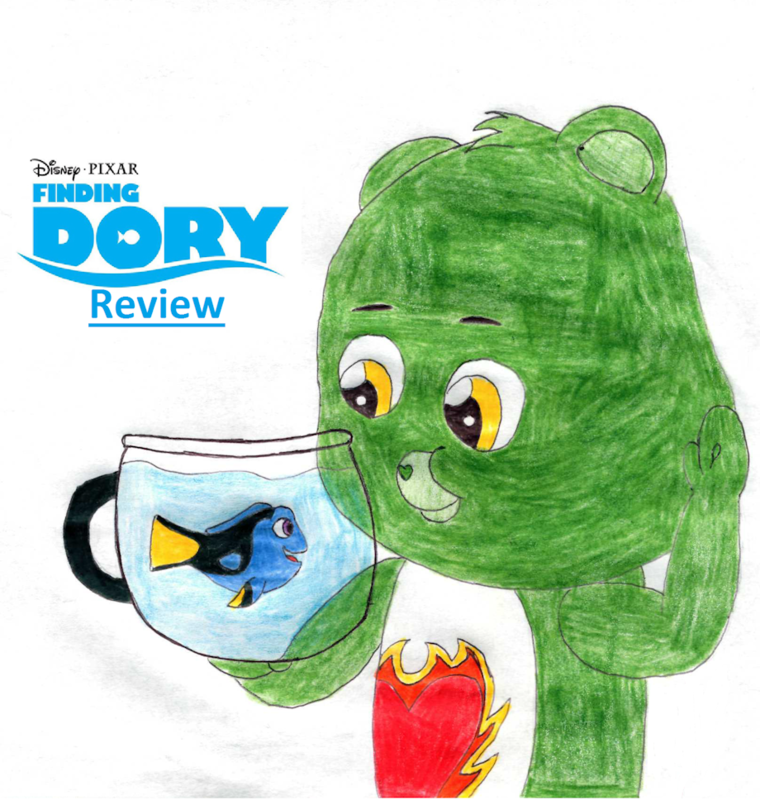 So, in finishing, Finding Dory get's from me, a 9 out of 10. Finding Dory brings back that feeling from the previous film without the need for having to make too much reference to the original with an endearing script, wonderful characters, and probably the best sequel all about a supporting character ever. This is a must if you are a fan of the original or a fan of Dory. What's wrong with Cars 2? Nothing's wrong with liking Cars 2,I just don't think made the film work out all that well considering the direction they took with it. but I still have yet to see it. You should also put down the flaws that the film has, too. that way you can show what you don't like. In all honesty, there's nothing I find wrong in this movie, other then it's CGI, but that's a srupid thing to hate a movie for. Not on my submissions, please.